We encounter a number of contradictions in texts of Japanese Buddhism and philosophy. Are they mere rhetoric, purporting to shock people? Can they be explained away in one or another non-paradoxical manner? Or are they meant to be literally true or real? If so, is the reality really inconsistent? With the support of the John Templeton Foundation and Kyoto University, an international team of scholars will investigate those issues. 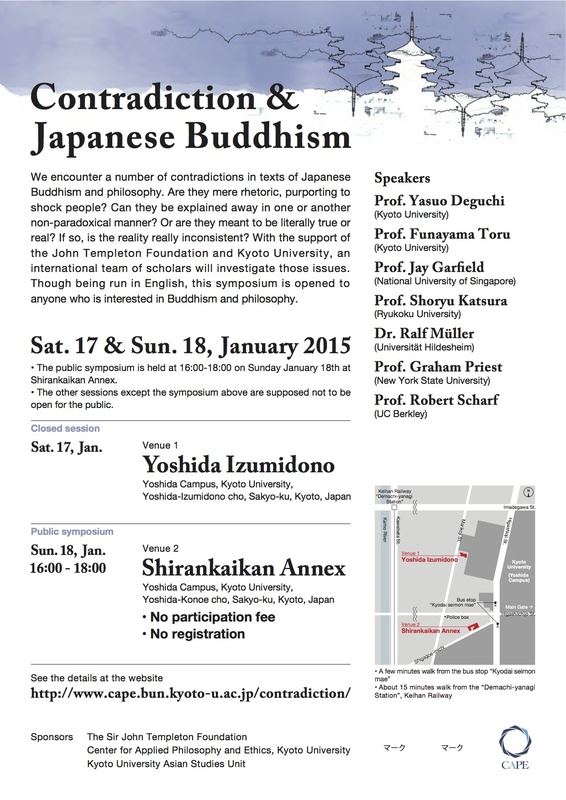 Though being run in English, this symposium is opened to anyone who is interested in Buddhism and philosophy. The 2nd CCPEA has successfully closed. We had about 130 participants from more than 10 countries. For further information, please refer to the official website.